August is over. 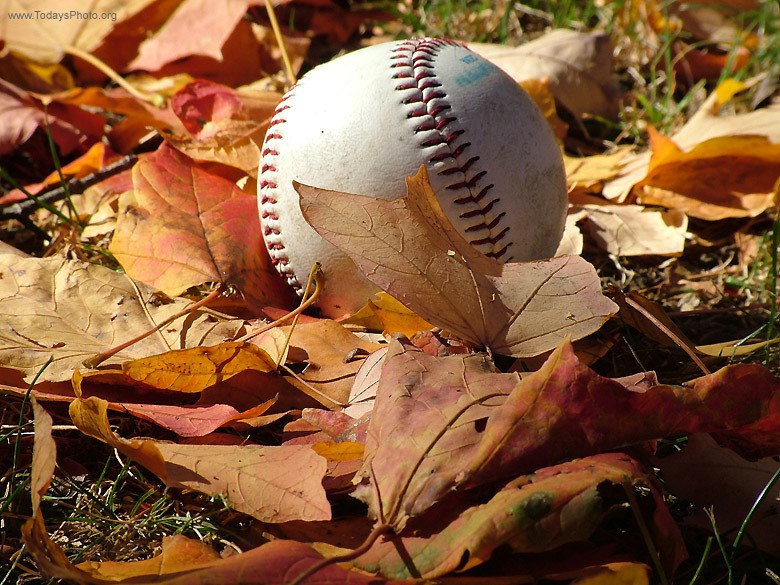 The baseball world is heading into the final month of play. Let’s see where each team stands. Despite all the wins, there are some question marks heading into September. Injuries to Price, Sale and Rodriguez are not what Boston wants to be dealing with heading now. With that said, their offense is simply fantastic. Betts and Martinez are each doing their best to win the MVP. Let me get this straight. The team with the second-best record in the game is on pace to win over 100 games, but their whole season will likely get down to how they do in the Wild Card game?!?! MLB needs to fix this. They had a very good month. Their problem is that Oakland was fantastic. Verlander, Morton and Cole did not have great months. Bregman, Gonzalez and White have all been hitting really well since the All-Star break and will need to continue if Houston wants to take the division. Davis is just a monster at the plate, but what makes the A’s so amazing is that they are winning with guys no one has ever heard of. For example, has anyone ever heard of Ramon Laureano? It turns out that he has been tremendous for Oakland. Their bullpen was great when it was led by Treinen and Trivino. They added Kelley and Rodney to improve this month. Both are yet to give up runs. The Cubs did not lose a series all month. That is why they have pulled away from the pack and now have a healthy lead. Adding Murphy during the month was a good move. The main reason for their success has been the fantastic second half contributions they have gotten from Zobrist, Baez and Rizzo. The Cubs just need to stay the course to make the playoffs for a fourth year in a row. The Tribe began August with a nine-game lead. It is now double digits, I’d be shocked to see it at single digits again. They made sure to whip their division rivals into submission. Most importantly, they were able to split a series with Boston. It is no secret that many are wondering in Cleveland is good or just lucky to be in a bad division. Now with a Donaldson-Encarnacion reunion, the Indians could be set for a deep run in October. This team is the most shocking story of August. They ended the month with a record of 22-5. Martinez, Wong, Gyorko, Ozuna and Bader all hit over .300 on the month. Carpenter has been having a second half for the ages. Their pitching is fantastic. They are on pace to make the playoffs, but they need to remain hot. When August started, they had the second-best NL record. They are now clinging to a playoff spot by the skin of their teeth. However, they are in luck. Milwaukee has 17 games in September against teams who are out of playoff contention. PANIC TIME! This month was a disaster. They got swept by Toronto and San Diego. The M’s lost two of three in Texas. They face a lot of weak teams down the stretch, but they won’t make the playoffs without beating them. Will Seattle miss the playoffs once again? Who would have thought before the season that Atlanta would go into September with a healthy grip on the division? Now it is a reality. While there are many reasons why, I think the best stat to look at is how they hit as a team with runners in scoring position. They have the best slash line in this situation of any NL team .277/.361/.469, which is leading them to victory. The difference between good and bad teams is often the ability to get that clutch hit. At the risk of getting ahead of myself, this could be the year that Arizona finally upends the Dodgers for the division title. Goldschmidt, Peralta and Pollock are all having nice seasons. Ahmed has been great defensively. While Corbin and Greinke have each been strong all year, the real surprise has been the resurgence of Buchholz. If he can keep it up, they could go far in the playoffs. Clay Buchholz has been a great story out in the desert. The Dodgers continue to blast the ball. In August they have the most homers and the second highest OPS in the NL. Unfortunately for them, this hit a rough patch where they went 4-10. September will require them to grind out a lot of games against tough teams. It has been a tough last few weeks for the Phils. Starting August 6, they began a team slump in which they went 8-14. The lowlight was a disgusting game in which they gave up 24 runs to the Mets, including 11 unearned runs. It isn’t too late, but if their docile offense doesn’t wake up, this season will have been a huge disappointment. Tampa is the definition of a spoiler. This month they went 2-1 against the Yankees and 4-2 against Boston. After trading a lot of players at the last trade deadline they seemed to only get better. While making the postseason is unlikely, they have earned a lot of respectability. The McCutchen trade was the way the front office came to terms that this past offseason was a disaster. All the big moves have done nothing to help the team win. With Posey getting hip surgery, he may not be ready for the start of 2019. The future doesn’t look bright in San Francisco. Washington called it quits this month when they traded Murph, Kintzler and Kelley. Harper actually had a really good offensive month as did Zimmerman. However, the pitching is a shell of its once former glory. Scherzer is one of the best in the game, but Strasburg and Gio have really been struggling over the past couple of months. The eleven-game winning streak was just a fluke. The Pirates had a calamitous month that thoroughly quashed any hopes of playoff contention. On the bright side Frazier, Bell, Polanco and Moran are a solid young core that could make the contenders in the future. This team is always making headlines… but not for winning. The stories are for having good individual performance. Trout is enshrining himself as one of the all-time greats. Ohtani continues to hit well. Pujols is constantly padding his career stats. The problem is that as a team they are irrelevant. It is nice to see Sano back in the majors, but he has a lot to prove. While the offense has been rather unremarkable this year, they have several guys like Rosario, Cave and Kepler who could really turn things around. Pitching wise, there is plenty of room to improve in both the rotation and bullpen. Will Sano return to his former glory? Trading Donaldson at the deadline was a real bombshell. The last Blue Jay from their glory days is gone. Smoak is having a good season and Grichuk is also solid. Pillar plays great defense but other than that, the Jays are nothing special. The nation of Canada is just waiting for Guerrero 2.0 to make his debut. Jacob deGrom is beyond fantastic. He is downright unhittable and should win the Cy Young. The reason the Mets are not in contention is because they so rarely score runs for him. While the Mets have been playing .500 ball since July, it is too little too late. The good news is that McNeil, Rosario, Flores and Nimmo have all been hitting for high average and making people wonder if the offense will be better next year. Mike Minor is having a decent season. Every other starter has been anywhere from bad to terrible. It is like you go into games knowing they are going to get shelled. The offense can score runs. They rank seventh in runs scored in the majors but they are a last place team since the hitters can’t outscore the pitchers enough to compete. The Winker injury was a sad way to end an otherwise great season. Offensively, they are strange. They get lots of runners on base but don’t score enough. They don’t hit that many homers for a team who plays in a bandbox. Their biggest problem is that they have the worst pitching in the NL. They rank last in ERA, WHIP, runs, home runs and K’s. If they could ever straighten out their rotation, they could actually be good. Don’t look at their record. This season they didn’t field well, get on base enough or prevent the other team from scoring. They are terrible. Just look at their prospects. Kopech has pitched well in his first few games. Eloy Jimenez likely won’t get called up until next year, but the pieces are in place for a turnaround. Baseball has turned into a homerun-centric game. Unfortunately, Detroit didn’t get the memo. They are last in the majors in dingers. They are one of the worst five teams in almost every offensive category (runs, hits, walks and OBP). Now add in the fact that their pitching is terrible, and we have a boring team. If you want to see a team that is a major bust, look no further than San Diego. Hosmer has been a huge disappointment. Galvis can’t hit. No wonder Philly dumped him. Their last in the majors in team OBP and they just can’t seem to generate enough runs. Hosmer and the Padres continue to disappoint. Any chance of ending the season out of the cellar all but died in August. They simply got trashed all month long and went 7-19 this month, which was the worst of all NL teams. The baseball world hates Urena. This looks like it could be a long rebuild. After another horrendous month of baseball, it seems like the dark ages have returned to KC. The one guy on this team that I like is Merrifield. However, he will turn 30 in the offseason, so it is not like he represents a solid core of young players. So the 1962 Mets can sleep well knowing their record won’t be broken. However, Baltimore is a punching bag that could legitimately lose 110 games this season. Time will tell if they end up with more losses than the 2013 Astros.